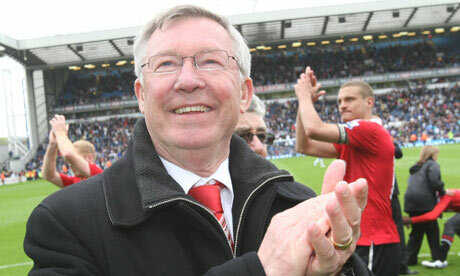 Former Manchester United manager Sir Alex Ferguson has been voted the greatest manager of all time by World Soccer. Regular readers of the blog will remember that less than three weeks ago we questioned the negative approach towards Ferguson’s career at United, with Brain Glanville – a well respected and highly insightful journalist – focusing more so on previous European Cup winners and the 99 questions posed to Ferguson by former shareholders of Magnier and McManus. Glanville indeed voted for Ferguson. The summer issue takes a totally different viewpoint, with the great man just beating Rinus Michels by three votes to win the greatest manager of all time. Sir Matt Busby received one vote from Nick Bidwell of World Soccer Germany. How would you have voted if you were included in the panel? Please drop your suggestions in the comments below. You can read all the votes of the panel over at World Soccer. I find this all a little perplexing, whilst there is no doubt that on the home front Fergie is the best manager of British club (So Far), he was a relative failure to Bob Paisley on the European scene, Fergie himself admitted it was one area where he had failed at United. The thing is it’s not just about trophy hauls though, it’s about his man management style and the respect he got from players, even after they left United, Peter Schmiechel asking him if it was OK for him to sign for City ? and even Beckham phoning and getting the OK to talk about life under Fergie in a TV interview, it even comes down to his ethics of playing youth giving it a decent chance, and having the stomach to tell a player when his time is up, that all creates respect. Respect is not something you get from winning trophies, you have to earn it, and you earn it by being good to the people who matter, and who respect you. I don’t think I’ve ever heard Fergie admit he was a failure in Europe. Certainly he admitted that he should have done better but that’s a long way from admitting he’s a failure. Two European Cups, two Cup Winners Cups and two further European Cup Finals (in which he was beaten by arguably one of the best teams of all time) doesn’t sound like failure to me. I’d agree that he should have had more success though. There’s is a distinction though.